The incidence of affirmative action policies has occurred most frequently in internally heterogeneous states marked by deep ethno-cultural divisions and in which one of the ethno-cultural communities tended to dominate the rest. The response has led to the adoption of affirmative action programs to rectify old wrongs and eradicate injustices and extend benefits and provide special preferences toward establishing a new, just, and equal society. Alternative views of equality and justice undergird much of the controversy over affirmative action. Justice and equality are commonly shared calls evoked by both proponents and opponents of affirmative action. However, there are no universal and generally accepted set of values which define justice and equality. Lacking commensurability, rival meanings are almost always caught up in contentious struggles over power and resources in affirmative action programs. Alternative views of equality and justice undergird much of the controversy over affirmative action (Rosenfeld 1991; Premdas 2016). Justice and equality are commonly shared calls evoked by both proponents and opponents of affirmative action. However, there are no universal and generally accepted set of values which define justice and equality (Ryan 1993; Campbell 2000; Rawls 1971). In practical terms, equality and justice are concepts that are culturally and contextually defined, may opportunistically shift their meanings, but almost always they are a creature of struggles over power and resources. The lack of commensurability of cultures and values renders all preferences for a system of justice and equality, especially in multicultural states, contentious. Affirmative action addresses issues of official state policy pertaining to justice and equality on behalf of certain groups that have been historically disadvantaged and discriminated against (Goldman 1976; Kellough 2006; Anderson 2004; Sterba 2003). Basically, affirmative action may be regarded as a variant of rectificatory or compensatory justice that seeks to establish equality through special policy preferences and programs for a short time. In effect affirmative action seeks to reorganize the distribution of the benefits and burdens of society for the inclusion of the previously disadvantaged who have been the victims of past injustices and discrimination. In part because the historically disadvantaged have tended to be ill prepared immediately for equal competition with others in the open marketplace for benefits in jobs, education, and business opportunities, affirmative action policies have rescinded the merit-based principles of equality by offering special preferences to temporarily compensate for and empower the disadvantaged toward eventual equal participation in society (Young 1990). Generally then, affirmative action policies create arbitrary preferences in abridging principles of equality based on individual merit suggesting reverse discrimination (Fullinwider 1980; Goldman 1979; Pojman 1998; Sher 1979; Nagel 1973). Depending on who the beneficiaries targeted, it can serve toward promoting the well-being of any community, both blacks and whites (Katznelson 2005). Further, as against the embedded societal value of rewarding work and effort based on individual merit, affirmative action policies may assign benefits on a group basis, and even when the better off in these groups have tended to be the main beneficiaries, these programs have been defended and maintained (Young 1990; Fullinwider 1975). Wherever it is practiced, it seeks to promote unity by a policy of wider inclusion by compensating for discrimination against entire classes, castes, and groups of persons in the past (Gomez and Premdas 2012). Alternative views of equality and justice undergird much of the controversy over affirmative action (Rosenfeld 1991; Premdas 2016). Justice and equality are commonly shared calls evoked by both proponents and opponents of affirmative action. However, there are no universal and generally accepted set of values which define justice and equality (Ryan 1993; Campbell 2000; Rawls 1971). In practical terms, equality and justice are concepts that are culturally and contextually defined, may opportunistically shift their meanings, but almost always they are a creature of struggles over power and resources. The lack of commensurability of cultures and values renders all preferences for a system of justice and equality, especially in multicultural states, contentious (Sen 1992; Loury 1987; Glazer 1975; Phillips 1996; Nagel 1973; Westen 1985). In particular, equality, which is nearly always invoked to justify the claims for justice in affirmative action policies, is not a neutral principle that is crystal clear. Waltzer referred to it as a “procrustean bed” (Waltzer 1983). It invariably raises controversies on the appropriate formula to be applied over what goods and resources to be distributed and about who are the rightful and eligible recipients (Guinier and Sturm 2001; Sheth 1997; Nozick 1972). The arguments come from philosophers, publicists, artists, religious leaders, and opinion makers resulting in a massive outpouring of literature and pamphlets. They often combine philosophical positions on justice and equality with practical political and sectional interests particular to a community (Premdas 2010). The incidence of affirmative action policies has occurred most frequently in internally heterogeneous states marked by deep ethno-cultural divisions and in which one of the ethno-cultural communities tended to dominate the rest. In the evolution of these plural societies most of which were created by colonialism, a coercively institutionalized order was established so that the distribution of economic, social, and political advantages was concentrated unevenly in favor of and against certain communities. Regardless of how this skewed distribution of power, benefits, and burdens eventuated, in the contemporary international order of universal human rights, they have triggered anger, frustrations, and violent protests to secure equality and justice. The response has led to the adoption of affirmative action programs to rectify old wrongs and eradicate injustices and extend benefits and provide special preferences toward establishing a new, just, and equal society. Thus, affirmative action policies can be conceived at once to be a form of conflict management as well as a longer-term project to remedy inequality and restore justice (Ratuva 2013). Overall, as an experiment in institutional reform, affirmative action policies and programs have left in their wake among the states that have adopted them a mixed record pointing to setbacks and achievements, successful changes in institutions and practices toward promoting equality, winners and losers, contested economic gains and losses, as well as unanticipated problems and solutions (Sowell 2004; Gomez and Premdas 2012). In many ways, affirmative action signaled a new dawn for the disadvantaged and entailed institutional changes that went to the root of the society’s traditional ways of life. However, affirmative action was not new with various forms having long existed with preferences extended to veterans of wars, to the elderly, to the disabled, to students, and to the handicapped. That apart, proto-affirmative action policies have existed in many legal programs for minorities and the disadvantaged in nearly all states. These however were small scale, generally incremental if not sporadic reformist programs, nothing like what would subsequently be launched from anti-colonial and revolutionary movements in the post-WWII era, engaging broad swaths of racial and gender disadvantaged groups and persons. What would transform these small programs into full-blown comprehensive affirmative action structures stemmed in many cases from the failure of voluntary compliance of basic reform by power holders and the privileged in frequently drawn out and delayed actions if not outright sabotage so that the urgency of the need for compensatory justice was effectively denied. It was in the soil of this lack of meaningful progress and hypocritical delays leading to explosive violent crises that affirmative action policies germinated and emerged as full-blown affirmative action regimes as occurred in the American and South African cases (Skrentny 1996), In Malaysia, riots occurred in 1969; in the USA, sustained riots and demonstrations in the mid-1960s onwards; in South Africa a radical change of government and constitution; in Fiji a military coup; in Northern Ireland; violent activities by the Provisional IRA; etc. Even, in the case of India where affirmative action policies on behalf of the untouchables were not prompted by any immediate violence, the potential threat of such a crisis lingered in the background (Parikh 2012). In its demand for remedy and for decisive change, affirmative action pushed by years of frustrations and ignited by great expectations demanded specific timetables, quotas, and monitoring with penalties to sustain momentum and prevent delays and foot dragging (Skrentny 1996). As a distributive policy over limited and scarce resources in society then, affirmative action policies tend to engage zero-sum contests and struggles between the privileged and underprivileged creating winners and losers for both individuals and groups. Typically, the competition is manifested in such material areas as employment (public and private) and access to educational and business opportunities including government procurement, contracts, and licenses. Also in symbolic areas like political representation, recognition of cultural symbols of identity, e.g., religion and language, titles, and statuses (Taylor 1994). Additionally, in relation to access to important services such as medical; water; transportation. Where the contest and competition become group-based and communalized, as it often does, it tends to evoke strong irrational passions that are difficult to reconcile and easy to manipulate by political entrepreneurs for political gain. While affirmative action policies may empower and promote full participant citizenship, with numerous tangible instances of meritorious achievements, they may simultaneously so shield and overly protect groups that, instead of their getting stronger, they become habitually dependent, inviting unfair collective stigmatization as genetically inferior, and thus in the long term, these groups may become disabled and unprepared for market competition (Sowell 2004). These policies may thus ghettoize the entire disadvantaged communities into self-perpetuating inferiorized groups maimed and consigned to the periphery of the society. Affirmative action may be formally embodied and legalized in a variety of documents and practices including constitutions, laws/legislation, executive and administrative directives, court decisions, and popular referendums. The term “affirmative action” itself was first embodied as part of an executive order (number 10925) issued by an American President (Anderson 2004:60; Katznelson 2005:216). Affirmative action policies tend to involve a variety of programs and strategies of implementation in different targeted areas of remedy such as employment and education with different consequences in each sector of activity. Implementation is not a quick fix that is undertaken and completed overnight. In practice, in many cases including affirmative action policies, it is a long-drawn-out experimental process that is marked by successes and failures, with constant revisions and redesigns, unending challenges and conflicts, changing friends and enemies, new unanticipated problems, and threats of abandonment and exhaustion. Just as problematic is the loss of focus and changing aims in a meandering stream in the life of a policy during the implementation phase. Having started off as one thing, in a checkered career, it may metamorphose into a different creature with new accumulated interests, beneficiaries, and programs and become, instead of a short term temporary measure, almost rooted permanently into an ineradicable governmental patronage structure with strong political constituencies (Gomez and Premdas 2012). Despite its noble aims and justifiable remedies, the introduction of affirmative action policies confronted resistance from the outset. This came typically from advocates who vehemently opposed the assignment of benefits and rewards collectively to groups as is espoused by all affirmative action policies and the corresponding abridgement of the principles of individualism and merit (Cohen 1998:14–22; Cohen and Sterba 2003). In particular, they argue that affirmative action is detrimental to equal citizenship for it destroys the relationship between equal work for equal reward, between work and desert (Pojman 1992). This is wrong from this point of view for it destroys incentives for individual effort and similarly discourages responsibility for the individual’s own choices and self-determination. (Cohen 1998). Merit and individual identity are regarded as sacred values in the architecture in the Western democratic system of justice and governance. Hence, affirmative action bears the mark of an alien strain, a deviant and subversive intervention that threatens a just equal democratic order at its very core. To invoke merit in an argument therefore, even in all of its contradictions, is to assert an article of faith that seems to be beyond reasonable counter claims. It reverses discrimination which cannot remedy a wrong by committing another wrong, it is argued (Cohen and Sterba 2003). What is also ironic, it has been pointed out, is that the resistance against affirmative action eventuated in those very merit-based societies had already extended group benefits to the handicapped, senior citizens, veterans of wars, special title holders, etc. Hence, affirmative action programs were generally not new in modifying the merit principle or in granting group benefits. What would however define their uniqueness in the era of widespread affirmative action regimes around the world were two salient facts: (1) the scope of entitlement which was exponentially extended more widely to entire ethnic and racial communities as well as women, signaling an upheaval of revolutionary proportions, and (2) the promulgation of mandatory performances in timetables, quotas, and reviews in the implementation of affirmative action policies. This latter feature became necessary when voluntary compliance by privileged incumbents in both the public and private sectors in offering positive discriminatory opportunities to the historically disadvantaged and discriminated against was deliberately ignored or cynically manipulated so as to fail. These changes evoked passionate resistance from communities which felt that they faced reverse discrimination and a radical reversal of fortunes, status, and privileges. Many openly engaged in acts of noncooperation and even sabotage. In a number of cases, the new order of affirmative action justice was carried out by and on behalf of groups that were a majority in the population and which had either seized power or wrested it by majoritarian democratic means. In these cases, the swift and massive application of the compensatory features in the special preferences that were allocated to the historically disadvantaged caused trauma, withdrawal, and emigration among the previously privileged. Cases include South Africa after the dissolution of apartheid, Malaysia after the riots and widespread violence in 1969, after the military coup of 1989 in Fiji, and after general elections in Sri Lanka in 1956. Affirmative action programs also were initiated by majorities on behalf of disadvantaged minorities as occurred in India, Brazil, and the USA even though in the latter, it truly got under way following sustained street demonstrations and demonstrations in the 1960s (Skrentny 2001). Society can be conceived as a distributive community, argues Waltzer: “We come together to share, divide and exchange” (Waltzer 1983:3). Distribution includes both material and nonmaterial symbolic values and goods. Societies differ in how much they emphasize the relative worth of these scarce goods and constructs and confers on them their cultural meanings. Distribution is thus culturally constructed. Distribution sits on shifting sands and can best be understood as a political contest and power struggles. Affirmative action is a particular variant of a just distributive principle. It is about scarce goods and values; it is about one principle of equity against another with zero sum consequences; and it is a moral claim seeking to displace another. It stirs passions and compels conviction evoking insecurities and fears for possible losers and winners alike. In affirmative action resides an accusation. It lays charges of oppression, exploitation, and marginalization onto another group. It argues that that the misfortune of one group in acquiring well-being and power has not been legitimate or right. It seeks in a new distributive order to right old wrongs, to obtain compensation, and to gain unequal advantages for a more just equal order. Those who have will not readily give up their shares until faced with greater loss by their resistance. Affirmative action challenges the holders of power and influence and can result in a radically reconfigured rearrangement of wealth, status, and power. Affirmative action seeks both procedural and substantive rectification in the distribution of scarce goods and values. Procedural rectification refers to equal access via removal of artificial and legal barriers against a group seeking to compete for opportunities so as to obtain substantive benefits. However, these procedures themselves are only fair when applied to equally endowed and positioned participants in competition for benefits and opportunities. Hence, to offset the handicap in the lack of preparedness among the historically disadvantaged, it is necessary to offer special substantive compensating programs in the short run with the view of preparing them for full equal competition later. This in part what affirmative action is about focused programmatically on preferences which in a limited temporal frame seeks to restore an equal playing field in the competition for the values and opportunities in the state. In affirmative action and other similar movements for remedy and rectification for past wrongs, certain values and goods have emerged as the sites of contest, competition, and struggle. Jobs and employment, both in the public and private sectors, are at the very foundation of solving poverty and inequality, and in practically all cases of affirmative action, it has been the critical arena of contest and accommodation. Education is another site of contested distribution. Access to it at all levels may determine other values such as employment opportunity and standard of living. Much struggle over educational opportunity has focused on tertiary training and university admissions. The symbolic category of goods and values includes both political and cultural items. The political aspect refers to participation in the polity by way of equal enfranchisement and more particularly in representation in the councils of decision-making. In a program of affirmative action, the demand for representation may be incorporated in a grand constitutional and political design such as in consociational democracy. In South Africa and Northern Ireland, this took the form in power sharing and institutional guarantees for legislative representation. In other cases, such as India, a dominant group without threat to its hold on power may accede to a fixed proportion of parliamentary seats for minority and disadvantaged groups. In regard to other symbolic goods, recognition of all cultural groups, their language or religion as well as certain holidays, is critical. An associated symbolic category refers to citizenship which stands for equal membership in a society and an end to inequality and discrimination. Granting of citizenship clearly has dire power implications in a democratic system by creating a new block of voters, and it becomes very potent where affirmative action encompasses a majority community that has been historically excluded. The claims for equality in the grant of citizenship are usually part and parcel of a claim to a historical identity in the national narratives of the state. Obtaining jobs and educational training in special programs of affirmative action is linked to the larger project of meaningful citizenship. Eligibility criteria for affirmative action beneficiaries have become mired in controversy mainly around issues of defining who is entitled, over the tendency for the size of affirmative action groups to expand, over undeserving individuals within these groups, and over the growth of entrenched dependency of affirmative action groups without an end in sight to the affirmative action program. Issues also arise regarding the stigmatization and ghettoization of these groups who remain permanently dependent and uncured of external support and forever require affirmative action for remedy. Despite all of these critical evaluations of affirmative action gathered from all societies where the policy has been adopted, affirmative action seems to be perfectly justified for those who have suffered historical discrimination and have emerged as marginalized and poverty stricken citizens. Affirmative action has been designed as an act of justice to rectify systemic inequality and not simply as optional humanitarian program. Something similar occurred under South Africa’s apartheid laws and practices involving black exclusion. In the contemporary era after the fall of the apartheid South African regime and the emergence of more equitable racial practices in the USA, the issue of eligibility has turned in favor of nonwhite communities. In most cases, it seems rather obvious which groups are eligible as beneficiaries of affirmative action programs. In case after case, these groups are conspicuous publicly marked off by some diacritica such as color, phenotype, abject condition, lowly occupations, resident in marginal neighborhoods, etc. such as found among African-Americans in the USA, Africans in South Africa, indigenous Fijians in Fiji, untouchables in India, etc. Because affirmative action entails the potential availability of new job opportunities and/or access to scarce and prized goods and values, it tends to draw new claimants. Over time, the eligible groups become enlarged, and often their composition bears little resemblance from the original set of so conspicuous beneficiaries. Hence, as an example, added to the list of eligible groups in the USA are nonwhite recent immigrants of all hues and complexions bearing no history of discrimination and disadvantage in American history. Quickly, competition among the old and new claimants turn bitter as the struggle degenerates into complex and finer distinctions of who are truly eligible for affirmative action benefits. Who is indigenous? How long does it require to become indigenous if ever? What about mixed marriages and their progenies? Who is really Black? Does brown mixed race count? It has been estimated that some 90% of African-Americans are mixed. Who is a low caste? Can caste be acquired for the purpose of getting access to affirmative action benefits? Should recent arrivals be eligible or should they be descended from old native born citizens? In this regard, the debate and disputes turn their focus on the deserving candidates for remedial benefits. Should groups regardless of the internal differences in terms of economic need and endowment all be equally eligible? This issue evokes the old arguments mounted by opponents of affirmative action who hold that affirmative action and compensatory justice should not be allocated to groups but to individuals (Glazer 1983). Similarly, it evokes arguments about the merit of class- and needs- based eligibility rules as against broad group-assigned benefits. When women are thrown into the mix and they have been among the conspicuous disadvantaged, the same issues arise regarding eligibility based on need versus group membership. Women add an entirely new dimension to eligibility questions mainly because they are at least half of the population, and they display a wider array of internal differences in the distribution of wealth and well-being. Should only Black or indigenous or lower caste women be made beneficiaries regardless whether they are relatively well of or not? Should affirmative action be genderized so that there is a separate category for men and women? Among the more prominent markers of eligibility, especially in the USA, is diversity. In the Bakke v. Regents of University of California case, Justice Powell writing for the majority rejected race as a legitimate criterion for affirmative action. However, he felt that “diversity” was a legitimate claim and constituted an important state interest for preferential treatment in university admissions. This was reaffirmed by Justice Sandra day Conner in 2003 in Grutter v. Bollinger. However, diversity was not taken as an automatic group criterion for preferential treatment but had to be evaluated on an individual basis along with other criteria. Diversity however has emerged as a surrogate for African-Americans, Hispanics, and indigenous peoples in the American context. Outside the USA, the diversity argument has failed to gain traction as an eligibility criterion. Thus, finding objective and generally acceptable criteria of eligibility for affirmative action is practically impossible. As a result, eligibility has become a creature of political calculation and opportunism. Affirmative action groups are voters in a democracy, and political support for them may be fashioned with a view to cultivate and capture a community for the political gain of a party. Eligibility rules become a patronage football, and all sorts of new and invented groups are made candidates for inclusion regardless of a background in historical discrimination. Some of the main issues regarding eligibility focus on the fact that in many cases, the beneficiaries are not those who are the truly deserving. Rather, it has been argued that a small group within a broadly defined disadvantaged community has seized affirmative action benefits for its own aggrandizement. In most affirmative action regimes, some sort of formal instrument legalizes and legitimates preferential allocation of opportunities and goods usually also defining the identities of beneficiaries. These instruments include constitutions, legislation, court decisions, executive directives, and administrative rules. In the USA, it is found in the Civil Rights Act of 1964 as well as in the 5th and 14th Amendment of the US constitution; in South Africa in the Employment Equity Act No.55, of 1998a; in India in Section 335 of the Constitution; in Malaysia in Article 153 of the constitution; and in Northern Ireland in the Good Friday Agreement of 1998 and the Fair Employment and Treatment Order of 1998. Along with these instruments are court decisions which seek to adjudicate conflicts and challenges to the constitutional and legal instruments becoming themselves hallmark events in the life of affirmative action programs. Another source of legitimizing affirmative action preferences is found in executive directives and administrative rules and discretion. President Kennedy’s Executive Order 10925 and President Johnson’s Executive Order 11246 in the US experience have obtained legendary status in the life of affirmative action. Laws and executive directives can be transformative in incremental as well revolutionary ways. Their impact may depend on how the recipients react to or manipulate the laws governing affirmative action. In Malaysia, “Ali baba” practices have become common in which indigenous Malays illegally transfer their contracts and licenses to non-indigenous individuals who are not eligible for affirmative action benefits (Gomez 2012). This assumes the form of “fronting” in South Africa. Another very significant way in which recipients may influence the implementation of affirmative action programs refers to what can be called their absorptive capacity. This points to the fact that in many instances, affirmative action opportunities and awards could simply not find qualified recipients for a variety of reasons. In South Africa and India, because of late availability of educational facilities against a history of illiteracy, many opportunities went either unfilled or were claimed by the same small group of qualified eligible persons. This inevitably in turn facilitated the emergence of a self-perpetuating well-off group, many very wealthy within the disadvantaged community. In some cases as in India, deliberate implementation hurdles such as special examinations to determine qualified beneficiaries have been created by privileged bureaucrats opposed to affirmative action. Bridging the gap between formal legal instruments and their implementation for justice and equality therefore has been buffeted by an assortment of anticipated and unanticipated obstacles making doubly difficult to achieve the aims of affirmative action, some stemming from ongoing strife and litigation regarding defining who are eligible for benefits, some from the expansion of the eligible list of beneficiaries, some from resistance by employers engaged in superfluous schemes of avoidance from recipients undermining the intent of the law by engaging in “Ali Baba” practices, some from limited absorptive capability of the recipient communities, some from rear guard opposition from entrenched bureaucrats and administrators opposed to affirmative action, and some from violence against recipients as in India where untouchables have been habitually assaulted (Seth 1998:503). The number of states which have now embarked on affirmative action policies has been growing, and the results have been diverse and require tracking. The experiences have differed even as these affirmative action states have tended to utilize a common vocabulary to describe their policies and programs. These policies and programs have left in the experiences of the societies that have adopted them setbacks and unanticipated problems as well as achievements and opportunities. They have often witnessed major societal changes in institutions and practices and to significant departures from the original aims and intentions. Overall, a critical and comparative examination of affirmative action policies has bequeathed in their wake a number of outstanding issues and questions. 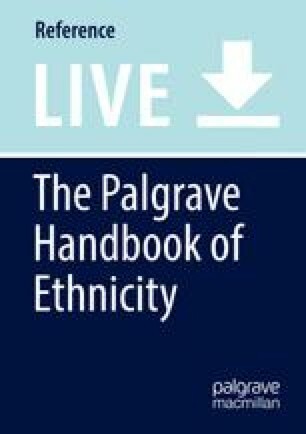 Does prolonged affirmative action tend to sustain and encourage ethno-cultural divisions in the society, that is, establish identity politics as a norm of political life so that divisions and mutual antipathy and systemic interethnic malaise and even hate and bigotry become routinized and normalized in daily citizen life? Is it culture war in which incommensurable cultural values of justice of one community confronts another in ongoing warfare? Is it covert class warfare in which cross-communal elites cultivate, mobilize, and manipulate ethnic group divisions and communal segmentation for their own benefit? Is there a problem of incommensurability that argues that each affirmative action policy is culture specific? If so, then no comparisons can be validly made and policy lessons across borders futile? Or on the contrary, these experiments in social engineering do share much in common and from them much can be leant and shared? Overall, it raises the fundamental issue of whether justice been served on behalf of the original victims. What lessons have been learnt for the benefit of reframing public policy on affirmative action? Are there universal principles of affirmative action as a mode of distributive justice that can create a new society based on shared beliefs? A new order in affirmative action clearly requires a new frame of mind for both beneficiaries and the old guard. Clearly, affirmative action is an experiment in social engineering with no guarantees and clearly would require a new set of habits for compliant transformation in instituting more just and equal order. Its programs tend to be very sensitive and easily liable to sabotage and acts of noncooperation and therefore depend in wide societal support for successful implementation.